Low Volume WIP, a photo by simple girl, simple life on Flickr. 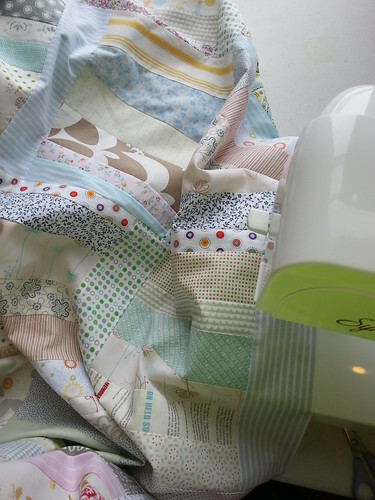 This week I've been stitching like crazy finishing up my version of the low volume quilt from Sunday Morning Quilts. It's done! And I can't wait to show it off! Your low volume fabric choices look great. I'm working on a low volume quilt based on the Sunday Morning Quilt also. I am thoroughly enjoying my copy of the whole book.